Well, if anyone thought Lena might secretly know that Kara is Supergirl, I think we can probably put that theory to bed. 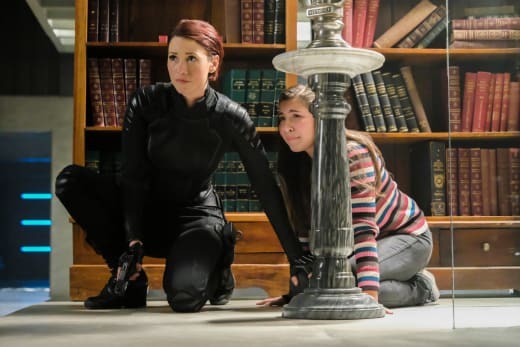 The relationship between the Luthor and the Kryptonian was on shaky ground on Supergirl Season 3 Episode 18, which has to make us wonder what it will do to Lena and Kara's friendship. Kara's probably not too happy with James at the moment, either. Kara and Lena both made great points. Lena's right, there are thousands of things on Earth that can kill humans, but there's only one thing that can kill Supergirl, and she has a point that it does make it personal. We can't live our lives worrying about all the things that could potentially kill us on any given day. It would drive us crazy. But, what if there was only one thing that could hurt us? Honestly, we'd probably be pretty fixated on it, too. It's impossible to rid the Earth of everything that can kill us, but if there was just one thing, wouldn't we be just as adamant about getting rid of it as she is? 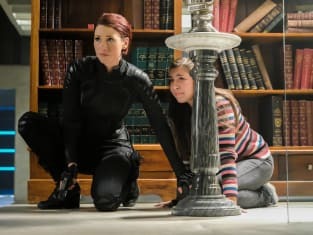 Supergirl: Even if I did trust you, even if we were on the same side, this substance is so lethal to me, that I can't risk encountering it by mistake. Lena: Trust is hard for me too, Supergirl, but since we seem to need each other, we're just going to have to figure it out. But I see Lena's side too. While Kryptonite is the one thing that can kill Supergirl, it's also the one thing that can stop Reign. 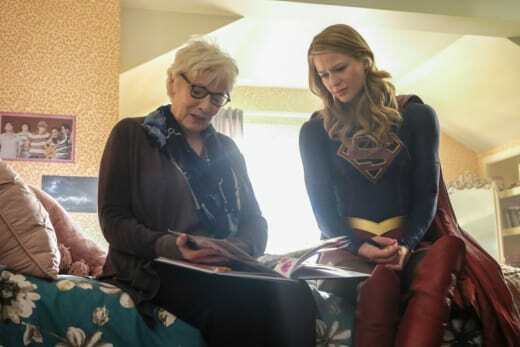 This is a world that has been attacked by evil Kryptonians before, so it's hard to blame Lena for wanting to teach herself how to make the substance. Without Lena's Kryptonite, Reign would not be a prisoner of the DEO right now. Now that she is, Lena's hard at work on a cure, which may or may not be successful. It looks like Coville is going to have something to do with how this all turns out. Maybe he will be the key to separating Sam from Reign. He fits into all of this somehow, but if there truly is a key to separating Sam from Reign, Ruby has to be it. She's the one thing keeping Reign from completely taking over, and Sam's not about to let go of her. Sam's mother dying was obvious, but her death won't be in vain once they find a way to stop Reign and save Sam. Speaking of obvious, there was no way Mon-El was ready to head back to the future. I wonder if Brainy made up those calculations just to give him an excuse to go back. Probably not, but it's no accident he told him his calculations. So he'll stay until Reign is defeated, but then what? I need a man, a partner, who will choose me with a full heart. Go back. Help her fight Reign. If you stay, then that's your destiny. If you return, I'll know you have no doubts. Good for Imra to realize that if she didn't let him go back, she would never know if he was with her out of love or duty. At least this way, whatever he chooses, she'll know how he truly feels. 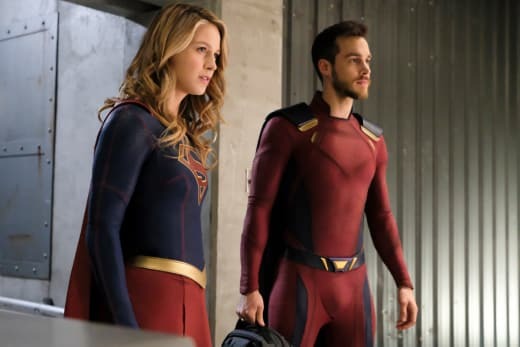 Of course, there's always the possibility that Mon-El will choose to go back, only to discover he can't for some reason. That would be a miserable way to conclude this storyline. Related: Get Comic Con HQ via Prime Video Channels to Stream Original Series, Past Comic Con Panels, & More! No, chances are he'll choose to stay behind with Kara. Does anyone disagree? If he does stay behind, what would it do to the future? What would it look like without his and Imra's marriage forming an alliance? The future is already going to look so different with all of the lives saved by them stopping Blight. Who knows, maybe Imra's true soul mate is among them. J'onn's father is getting worse, and it's not getting any easier to watch. At least he was helpful to the mission, even if he can't remember what he did to help. He did discover mochas though, so not all is lost. It's the little things in life that matter. I discovered the most incredible thing today. Did you know, if you grind the coffee beans with the cocoa beans, you get the most delectable mixture? It makes the flavor senses of my mouth smile. Still though, as cute and funny as that moment was, it was devastating seconds later when he repeated it. J'onn did a phenomenal job keeping himself together and going along with it, but it's only going to get worse. I am seriously going to miss Brainy. He and Winn could have had an amazing bromance with a little more screen time. That awkward attempt at a bro hug goodbye was hilarious. So, now that James and Lena are growing closer, what is going to happen with his friendship with Kara? Is there going to be a divide between them now that she knows he lied about breaking into her vault? The Lena/Kara and Lena/Supergirl dynamics are going to be interesting. Lena spilling all of her feelings about Supergirl to her best friend Kara is going to get super awkward, especially because she's going to want to continue talking about her relationship with James with her. 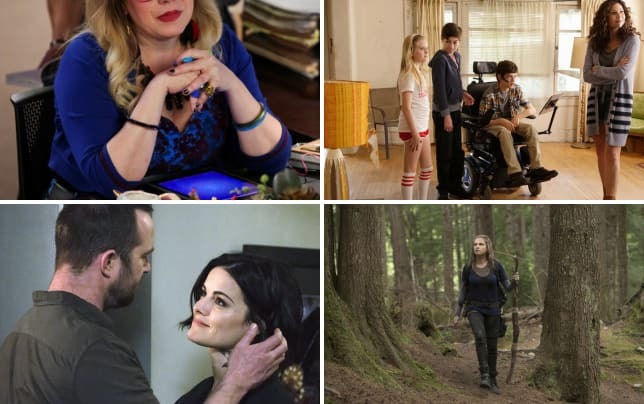 Related: The CW Renewals: Riverdale, Dynasty, The Flash, & 7 More! Is it just a matter of time before Lena discovers Kara is Supergirl? It's not the best time for Kara to come clean, but their trust is already on shaky ground, and it's not going to get better if Lena discovers it on her own. Let us know your thoughts in the comments and be sure to watch Supergirl online! Winn: Did Mon-El tell you about my dirt collection? Brainy: No, I ran a diagnostic of your personality, and calculated with a 98..7% certainty that you either collected dirt or New York Mets baseball cards. Winn: J'onn's going to be sad he missed you. Mon-El: Tell him it's okay. I'll see him in a thousand years. Permalink: Tell him it's okay. I'll see him in a thousand years.